Alaska Adventures - Post your Great Land adventures right here and share your stories so everyone can experience Alaska. Do you enjoy these stories? let us know by clicking the Like button - Thank You! Do You Have Stories about Your Adventures in the Great Land? Reading the stories above might just bring back memories of your own. You don't have to be a great writer to post your memories of Alaska here on Anchorage Memories. What's important here is for you to share your memories and experiences living in, or visiting the great land. Did your family go berry picking in Alaska? Did you spend your weekends boating on Big Lake? 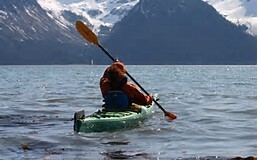 Or you might recall your first trip to Portage Glacier. The stories on this page represent the precious memories of the authors. 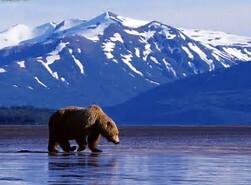 What a great way to experience Alaska. Except for the kayak, you're one with nature. 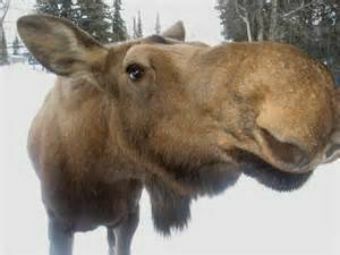 Sometimes we might be tempted to get a little too close to Alaska wildlife. Imagine the thrill of going down a swift moving river where the sights and sounds of wild Alaska fill your heart with joy and memories to last a lifetime. Pick berries, go hiking, run white water rapids, go skiing? Fly with an Alaskan bush pilot, or do some commercial fishing? Maybe your adventure was staying in a rustic cabin or visiting Mount Denali (McKinley). 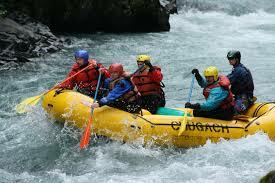 Alaska is a huge state and the variety of adventures that are experienced by Alaskans and visitors alike are endless. God's handy work is on display all over the Great Land. The picture above shows how big the vast area of the 49th state really is. Time for fun. Alaskans enjoy local events like the Cordova Iceworm Festival or Anchorage's Fur Rendezvous and gatherings of local residents around the state all have a special place in the hearts of so many who call this state home. A sight you'll never forget once you've experienced this majestic place. People the world over travel here just to take a picture or two and to be able to say "I was there." 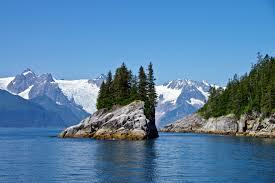 Maybe you traveled around the state and got to experience the many areas of Alaska. Or maybe you were really adventurous and spent time far away from civilization, like the people in one of those "living in Alaska" TV shows. 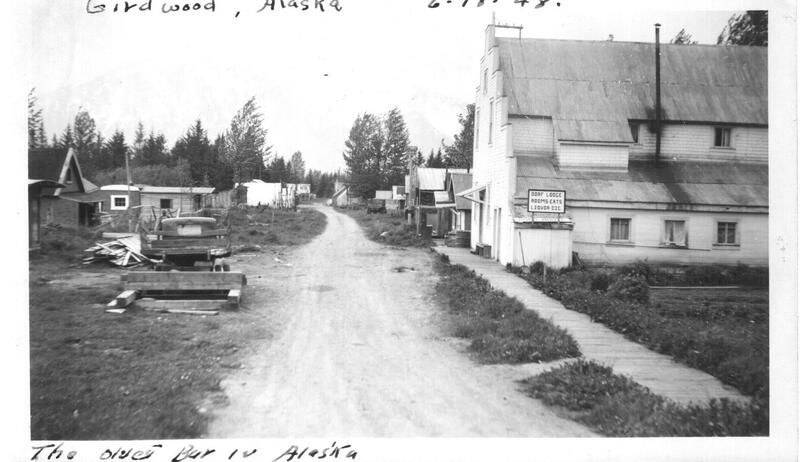 And speaking of Alaska TV shows, did you ever look for Alaskan gold? No matter what your 49th state adventures were, the website visitors here on Anchorage Memories.com will love reading about them. And so will your family and friends. And one of the great things about posting your Alaska stories online is that people all over the world can read them. And that means, no matter where your family and friends live, as long as they have internet access, they can read what you post here. Rugged individuals who's hearts long for a life that only the Great Land can provide. Talk to anyone who lives in Alaska, or used to live there, and they'll have at least one story about a memorable adventure or an unforgettable character they know in the state. Gold miners, homesteaders, or those who populate tiny towns and villages from South Eastern to Point Barrow. But even people who live in the Great Lands biggest cities have stories to tell about experiences rich in adventure. Stories that will stay in their memories for a life time. 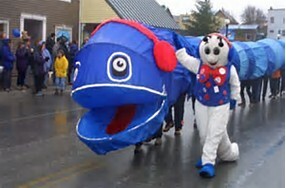 And that's what we celebrate here, and share with our website visitors here on Anchorage Memories.